Home › Brand › Can Nordstrom teach us about business? Can Nordstrom teach us about business? What can Nordstrom teach us about running a business? 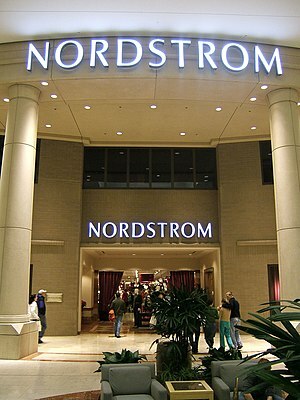 In the United States, Nordstrom is one of the biggest department store chain. Fortune magazine has listed it as one of the Top 100 companies to Work For. It’s also been listed as a Fortune 500 company. Add to this, that customers love this company and so do the employees. What is so special about this company that differentiates itself from other company brands. What’s their magic formula for success? There is no magic formula. Nordstrom, bases their core philosophy on customer service with support from its employees and management. It bases its business on the 75 word employee handbook. Let me break it down this way. Customer Service – Most businesses don’t stack up to how Nordstrom does it. It trains sales staff to focus on the customer by giving you the product and a range of choice. They listen and understand your need. Providing outstanding customer service is the company’s number one goal. Employees – Are encouraged as professionals and to set goals. They believe in the individual’s ability to use their judgement in all situations. Thus creating a positive environment for people to grow their skills and complete goals. This encourages an environment for innovation. Management – Businesses have a hierarchy, but Nordstrom has a more open and probably flat management style. In other words, any staff can approach managers with ideas or for help, this creates an openness. This encourages the business to continually improve customer service and improve its efficiency. It creates a community that is able to adapt to the changing environment. This simple 75 word employee handbook is what makes Nordstrom. It’s core goal of providing outstanding customer service is the driving force. They’ve adapted this to social media. Visit Twitter or Facebook to see it in action. Think about it; businesses survive by having employees listen to customers needs and then offer a solution to those needs. It’s business disaster when we stop listening to customers and treat them like numbers. How can you improve customer service to help build your business? I loved what I obtained from here. The strip is attractive, your authored material stylish. however, you command an edginess over what you turn out. I’ll without a doubt come again more frequently. I apologize for editing your comment. The translation wasn’t helpful, so I’ve trimmed it down. I hope when you read my translation it’s fine. I’m glad you got something from this site and come again. Cheers! I was excited to uncover this site. I want to to thank you for your time for this wonderful read!! I definitely appreciated every bit of it and i also have you book-marked to see new information on your blog. Thanks you for reading the article, Alexis.